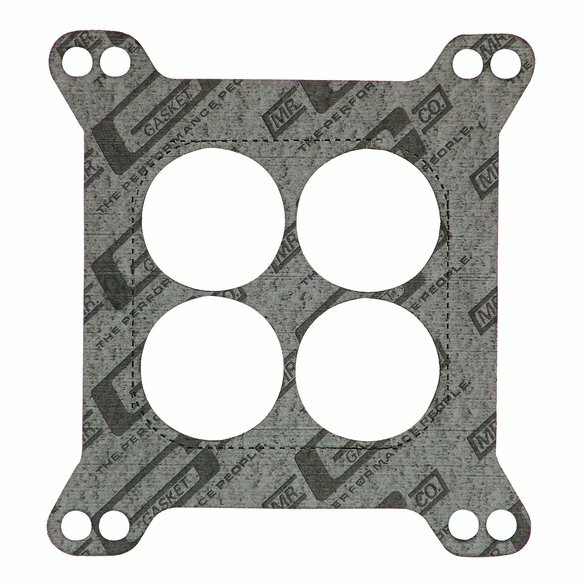 Fits Holley & Demon square flange 4-bbl, 4 hole and open center applications. Made of 1/16" premium gasket material. Incorporates perforated center for easy modification. Fits 4 hole intake manifold and simply remove center section for open center applications. Conforms easily to surface irregularities and creates a tight leakproof seal.